It's far too much to ponder for a Sunday morning--I haven't even finished my first cup of coffee yet. Seriously, I haven't seen or read either; I've been tempted by The Host, partly because of the idea, but more because I'm curious about Meyer's growth as a writer. Of Warm Bodies, my daughter said, "It's much better than I thought." I've only just recently started drinking coffee, and it's because of the taste, not for the wake-up purpose... But get some in you! My mum and I would have to agree with your daughter. My initial reaction to the idea of Warm Bodies was THAT SOUNDS SO LAME, but we watched it and we were actually impressed. Go in with low expectations and you'll end up enjoying it! 'Low expectations' is how I'm aiming to build my writing career! Haven't seen either. 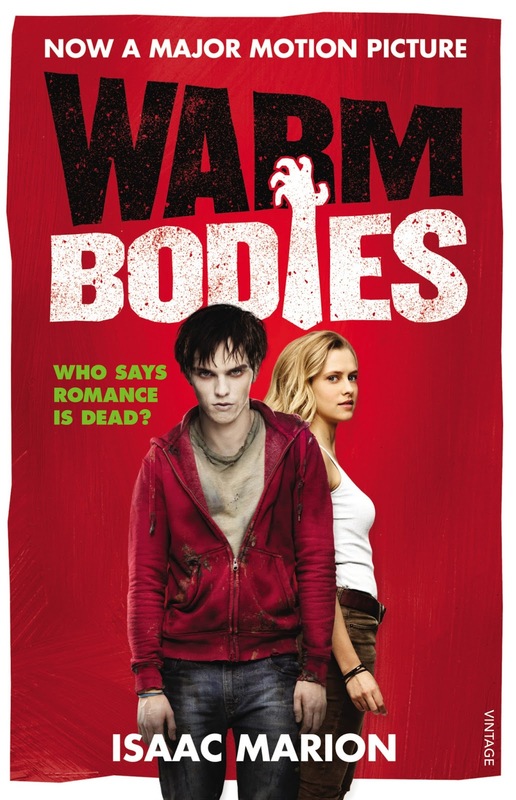 Both the book and movie version of Warm Bodies has received praise, so I'm curious enough I want to check out the film. I had no idea it was a book, so I'm very inclined to read it now! Check out the film, it's great! 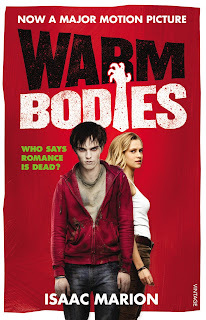 Saw WARM BODIES last week, thought it was great. I heard the book is...different. Will rent THE HOST, fo sho. I suppose a lot of books are different from their movie adaptions. I'm always interested to see the comparison. Didn't see the movies but read the first pages from both novels. Both have interesting concepts. You can check for the author of WARM BODIES at www.isaacmarion.com I prefer Aliens to Zombies because Aliens probably exist, while Zombies do not. Nice observation by you about R and Julie being Romeo and Juliette. And just last night I watched on TV (probably for the 5-6 times) one of my favourite movies MURIEL'S WEDDING (1994) from Australia. Funny and touching. Sadly, I can't create emotions like this in my novels. Oh well. I don't think I have a preference between aliens and zombies so to speak... It completely depends on how they're done, for me. I've read and seen the Host, but I've only heard about Warm Bodies. Of course the book was better than the movie. I feel like they miscast the lead, lol. I'd like to read Warm Bodies. 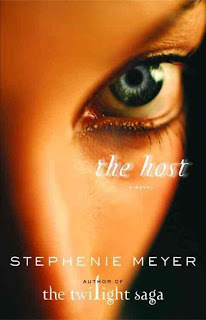 I have no doubt that there would be a significant difference between book and movie versions of The Host. I haven't read it though, so I can't make the comparison for myself. I've started to read The Host, and have yet to read Warm Bodies. I look forward to reading and watching the movies of both of these stories.